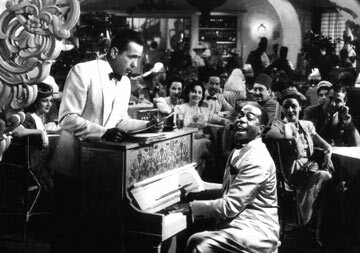 to exotic places while he played the piano bar on their cruise ships. Once upon a time (sigh!) most pubs had a piano. The pianos were played by anyone and if they were any good they never had to buy their own beer. London Bobby's dream research project has been to seek out surviving piano pubs in exotic places but the fact is, if you really want to find a piano bar, most of them are floating on the oceans in cruise ships. Yes, they have a grand, and to prove it the works are nailed to the wall. 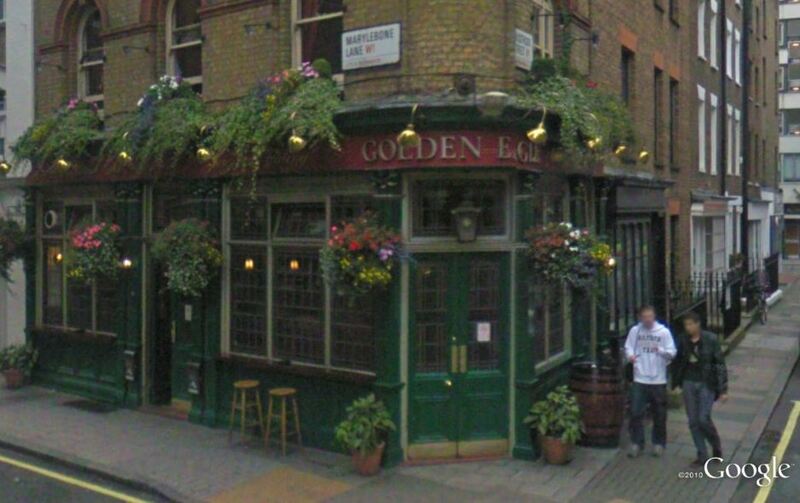 The Golden Eagle, 59 Marylebone Lane, London, W1. 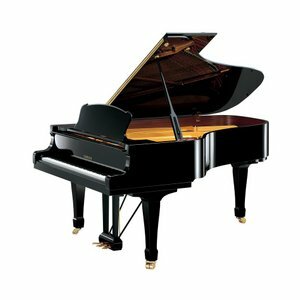 Piano singalong every Tuesday, Thursday and Friday from 8:30PM. Duke of Kendal, 38 Connaught St, W2. Real piano singalong every Sunday night. 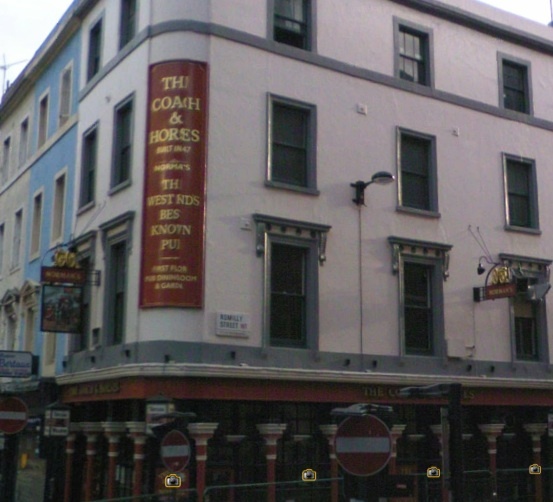 The Coach & Horses , 29 Greek St, Soho, near the theatre showing Jersey Boys. 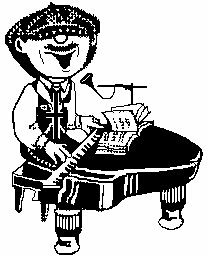 Piano player every Wednesday and Saturday nights from 7:30PM to close. When in London, all worth a visit for singalong afficinados. Cheers, David Naber. Thanks, Dave. 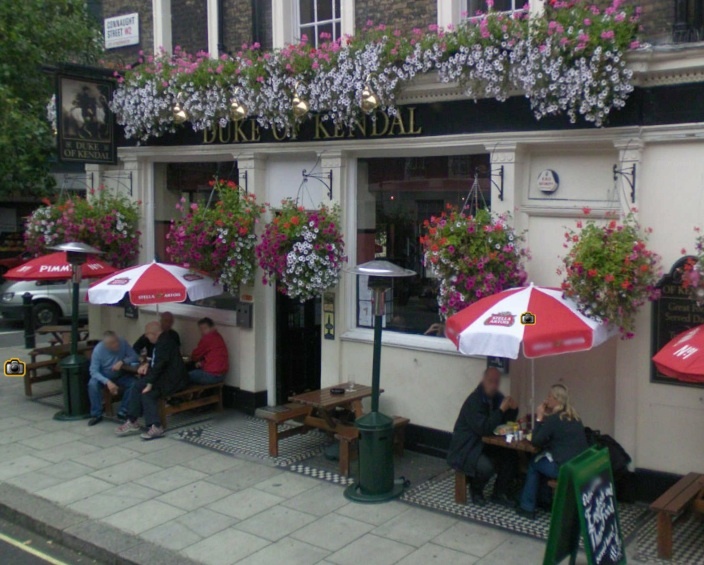 And people, if you visit one of these pubs, tell 'em you found it on the londonbobby.com website. Thanks! Madison Avenue Pub 14 Madison Ave.
Their website says, "Every Thursday to Saturday in the Piano Bar Ryan Luchuck plays piano, sings all your favourites.". Gwyneth emails me, "I can guarantee you that the Madison (the Maddy as locals call it) is definitely thee best piano bar in Toronto.It's every Fri and Sat night (sometimes Thurs) when Pianoman Mike sets up to play on the lower basement room starting around 10pm/ 1030pm. The Madison plays anything from Hall & Oates You make my dreams to brown eyed girl to sweet caroline to some kind of tribute to the beatles and even sometimes something crazy like lady gaga. " Warren James Spotlight Wednesdays at the Stout Irish Pub, 221 Carlton Street. Music Showcase, Warren James MC with Jordan Klapman on piano. This is not actually a piano bar, the singers were performers and had obviously not just wandered in off the street, they were good and should have cost me real money to see. A great deal for the audience, I had a great evening there. La Castille Steak House Dundas St W. of the 427, classy, pricey, but the piano is used as a stand for a keyboard and tracks. The Ceili Cottage, 1301 Queen Street East, Toronto, Ontario, CANADA (just East of Leslie Street) upright piano, no resident player, rarely played. Great oyster bar, gaffer is champion oyster shucker. Statler's Piano Lounge, 487 Church Street, has been open and shut lately, think it is closed at the moment. Drake Hotel, Queen St. E.
JACOBS & CO. STEAKHOUSE, 12 Brant St.Piano bar thur-sat 7-10 open till 2am? Dundas, Ontario. The Winchester Arms, Saturday June 4, 2011, London Bobby's last pub show? Who knows. 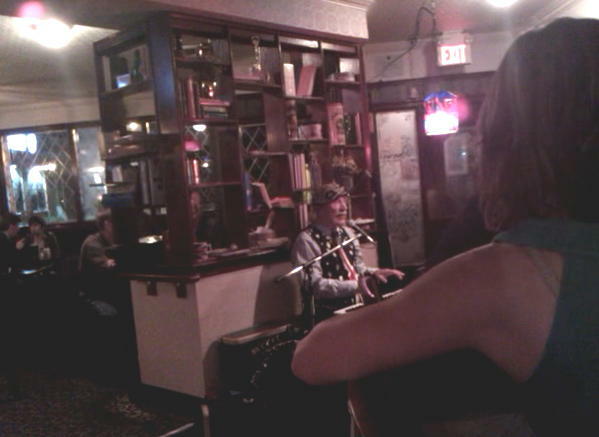 Penticton, B.C., The Barley Mill A large pub with it's own microbrewery, great draughts, wonderful decor and a piano!! From the Montreal Gazette: Club Paul Stevens, 1866 Sources Blvd., Pointe Claire. Piano Bar Wednesdays and Thursdays, 514-699-5951. Denis Ducharme (The Human Juke Box) Friday and Saturday, 6: 30 to 10 p.m. 514-695-6545. The Red Dog Saloon. Hardly a British pub, this is a great Alaska experience. Sawdust on the floor, outrageous decor and an outrageous piano entertainer who calls himself Phineous T. Boone holding forth in the afternoons. Packed with cruise ship passengers whom he cheerfully calls ship trash, the beer is flowing and everybody is having a good time. 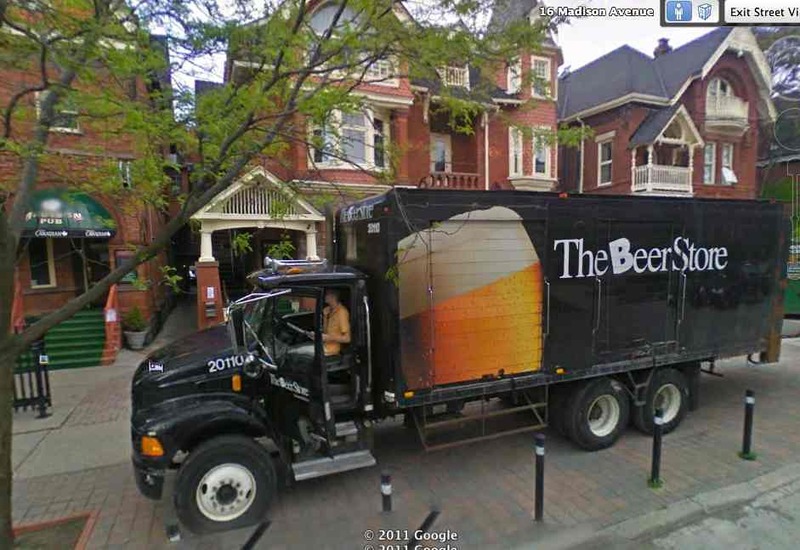 A brew pub. The Red Onion. 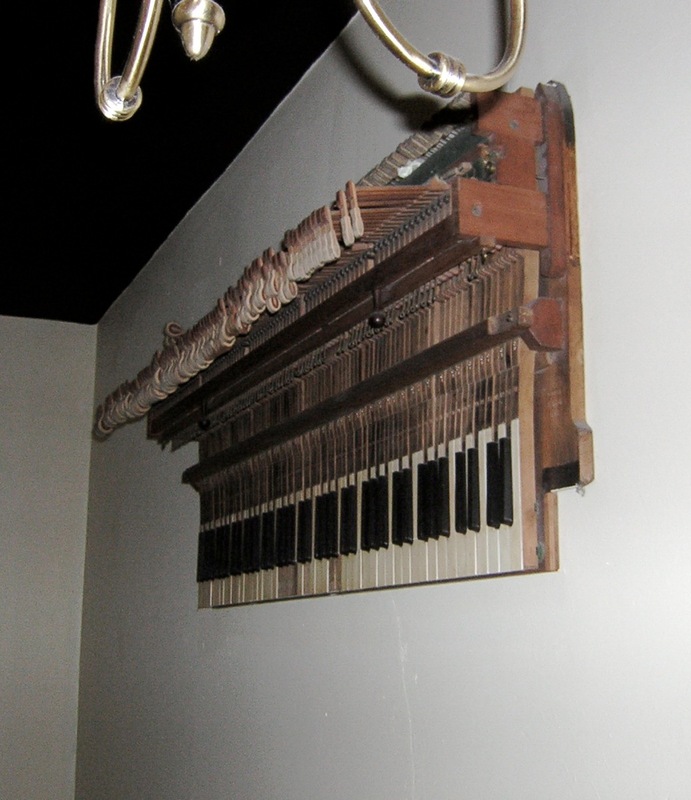 It has an old upright piano and a great exponent of Scott Joplin's music playing it. There is also a setup of amps, keyboard and drums where visitng cruise-ship musicians jam in the afternoon. The original whorehouse is still upstairs but the cost of a tour is probably more than the sourdoughs used to pay for an actual visit. The Golden Pub. This is a brew pub with a beautiful bar. Antique light fixtures, the furniture, the bar itself, all redolent of the Gold Rush era. It opens into a restaurant area in the back where there is an upright piano but no piano bench or piano player. However, the beer and the teriaki chicken was delicious and the decor impeccable. Fuengirola, Spain. The Bell & Bottle has no piano but it has Maggie who brings her organ and attracts a capacity crowd Tuesdays and Thursdays. EVERYT'ING COOL Feb 28, 97 Located in the open air in a beachside courtyard surrounded by yellow huts with pink doors and lime green corrugated roofs, furnished with beach umbrellas and the ubiquitous white plastic chairs, nevertheless it was jumping. Foster's at 99 cents may have contributed to this but I think it was the music. Live music in the afternoon, the resident group is rapidly augmented and/or replaced by musicians working on the various cruise-ships which can be seen anchored off shore. Unrestrained by their cruise companies' guidelines, the music is wild and beautiful. It was windy. Dave, the gaffer, gave me his card explaining that it had pre-hurricane phone numbers on it. The phone system was wiped out and reborn after the hurricane. OLD CAPTAIN Promising sign and name but it turned out to be a Sushi restaurant. Nice decor, though. Looks like a pub to me, but no piano. RIC'S PLACE Echoes of Humphrey Bogart, nice bent cane chairs and draught Fosters 3.50, can of Newcastle Brown $4.00. It was packed, it opens on to the beach, it calls itself an 'American Cafe and Sports Bar'. Sports banners cover the walls. They told me they tried to have Bass Ale on draught but found they couldn't keep it in good condition.No piano. First thing to catch my eye, Howdy Doody was hanging in a noose behind the bar, the gaffer wouldn't sell it to me (to add to my collection of vent dummies). A pint of Blackbeard ale was $3.50, good local beer. Excellent hamburger. Small place but well run. No piano. Local beer Piton, $2. English cyder $5 a glass. Up rickety stairs close to the dock, veranda overlooks post office, construction site. Full English menu with steak & kidney pie (delicious, $12), shepherds pie, fish & chips etc. Good collection of Dinky Toys on display. No draught, no piano!, rather shabby furniture. Gaffer calls himself 'H' and is from Watford. January 28, 2005 An Update from 'H'! Most of the things are the same, still good old English pub food, But! still no piano! Sorry, no room. All the best. Haitch! CIRCUS GRILL Feb 4, 98. No draught but Carib, a good local beer, is $2.25 bottle. Up one floor, there is a balcony around the building, chairs and tables overlook the Circus (after Picadilly Circus) and the cruise ship terminal. I offered $3, the 75c change came back as $1.95 e.c., about right. St. Kitts is fully independant but all the coins show the head of the Queen of England. St. Kitts relatively untouched by tourism as yet, but the ubiquitous Little Switzerland is there already. LORD NELSON Generally excellent food and service, cane chairs, cocktail glass holders with extremely long straws for 'hands free' drinking on balcony or inside. Landlord Barry is from London. Carlsberg $4, English cider $6. THE DROP OFF Narrow stairway to large eating area, MTV-Sky sports TV. Pint of Fosters $4 English cider $5.50. Great food, English specialties. Landlady Tammy is from Milton Keynes. GREEN SHUTTERS Old Portuguese-style house converted to 4 Star restaurant. Live local band noon to 3pm. Service a little slow but once delivered the food is very very good. Carlsburg $3.50, Cider $5.50, Bitter $4.50, local beer $2. SYME-ZEE Eatery, 34 King Geo V St. Feb 7/98 Home-made bar and furniture, it was empty Saturday noon. (Everyone is at the cricket). Kubuli, the locally made bottled lager, good and cold, $2. Live band Thursday evenings, Reggae - Blues - Rock & Roll. PORT OF CALL, 3 Kennedy Ave. Clean and neat, table-cloths, Kubuli and sandwich $6. Thursday night entertainment aimed at the the over 40 set, sing along with a steel band, comedy, 50's style dancing including the Twist, Salsa, Lambada and the Rhumba. Some crew have already discovered it, the place to eat in Dominica and they say they are actively looking for a piano! Port of Spain, Trinidad. Industrial city of 350,000. Be careful where you go. Best and safest bet is the bar in the Holiday Inn. Air conditioned.